Case Study: Watch Me Go Through Each Step Of LjFA! If you read my last post that explains the five step process to learn Japanese from anime (LjFA), then you probably want to watch me do it so that you can see it for yourself. If you haven’t read that post yet, then click here to do so before continuing on in this post. In addition to showing you how I did it, I’ll also provide some alternative recommendations in case you have different resources available than what I do. Step 1: Which (Single) Anime Episode Did I Choose? I wanted to choose a slice of life anime for myself since they are typically easier to learn and understand than other genres. 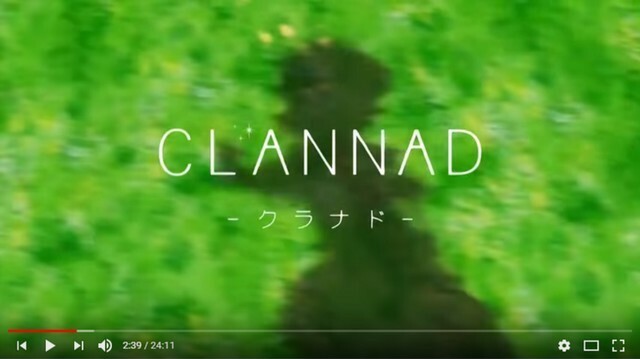 I had heard good things about Clannad before, so I figured that I would simply pick episode 1 and roll with it. You can also choose a basic, normal kind of scenario anime for your episode if you want to make progress with the language quickly. This is because the words and phrases that the characters use are typically ones that can be found in the top 5,000 most frequently used Japanese words. That being said, it’s more important that the episode you choose is something you find interesting since you’re going to be spending a lot of time with it. It is totally fine to pick a science fiction or fantasy episode if you don’t like slice of life. Just realize that it will probably require a little harder work on your part, and a little more time as well. Step 2: Where Did I Watch It With English SUBs? That’s right, anime is becoming mainstream! There are actually many more websites that steam anime, but some of them are… well… shady to say the least! The most well known “Anime” ones are Funimation and Crunchyroll, along with VRV which is still fairly new. The more “normal TV shows” services such as Hulu, Amazon Prime, and Netflix are also getting better with their selection of anime. Netflix in particular is doing a lot of work on getting exclusives on their platform, which is fantastic. I’ve even written an article on how to learn Japanese from Netflix that is totally worth checking out when you have the chance. But if you don’t have any of those services, then you can always fall back onto YouTube to watch the episode. I personally watched Clannad on YouTube, and you can do the same if you like. Step 3: How Did I Listen To Just The Audio? I’ve got a couple of thoughts on how you can go about this part. The first one is that, if you spend a lot of time on your computer at home, you can simply play the anime on an internet browser while you do things on another tab. You could go though social media while you listen, you could clean your room, you could play a video game, etc. The other way to listen to the audio would be to get it onto your phone in some capacity so that you can listen to it while you’re on the go. The most obvious way would be to simply stream it through whatever app your phone has on it. The downside is that streaming video drains the battery considerably. Workaround #1: If the episode in on Netflix, then you can download it onto your phone so that it is stored locally and you won’t have to stream it over the internet or your cellular data. Then you can play the episode on your phone and then lock the phone with that button on the side. This will stop the episode from playing, but if you then hit that side button again you should see the media player on the lock screen. You can then tap the play button and it will continue the episode, but this time it will be audio only! Netflix is getting cooler all the time. Workaround #2: The other option, and what I did, is to do a search on the internet for “YouTube to mp3” and go to any of those (definitely sketchy) websites that allow you to rip the audio from a YouTube video and then put it onto your phone like a song. I just had the one episode play on repeat the whole day while I was at work and I would pop my ear buds in to listen whenever I was at my desk. Step 4: Get The Japanese SUBs To Make The Flashcards. When it comes to creating flashcards, you need to get a good flashcard program (I really don’t recommend you write them out by hand) and then you need to get the dialog to put on the cards. You need to use regular flashcards, but it is okay to use a well known SRS program like Anki, just so long as you adjust the “push out days” down to 1 for both new cards and review cards in the deck. I did it this way since I already had Anki for other things, and I didn’t really want to have multiple flashcard programs on my computer. In addition to that, Anki has a free “Japanese” plug-in that does some pretty cool things that are ridiculously convenient. For example, adding furigana to kanji automatically!!! But if you don’t want to use Anki, you can always find out the readings of new kanji by pasting them into Jisho. The first way isn’t ideal, but it works. You can watch the episode with the Japanese subtitles on (Netflix usually has this option) and then type what you see onto the flash card. Unfortunately it’s a slow method since you will have to look up all unknown kanji that you encounter. The better way is to find the Japanese subtitles file on the internet, and then download it. I found the Japanese ones for Clannad on the website Kitsunekko. You can find a lot of (but not all…) subtitle files for Japanese anime on this site. Download them for free, and then open them with a program (Notepad++ is what I use) in order to use for the front side of your flashcards. What I did was copy a single line from the subtitle file into the front of the flashcard, and then I watched the corresponding section of the anime on YouTube and used the English subtitles that appeared as the answer on the back of the cards. I had to hand type the English subtitles in for Clannad, but you might be able to find the English Subtitle files for certain shows on the English part of the Kitsunekko website. That would allow you to just copy and past both languages for each card. It still takes a little while to make all the cards since there are several hundred lines of dialog, but it’s honestly not all that bad. FYI, If you get the English SUBs file, just make sure that it’s from the Japanese audio version of the anime. If you accidentally grab the subtitles from the English DUBs, it won’t match up very well since that particular version goes through a localization process when it’s tailored for an English speaking audience. UPDATE: There is a website called subs2srs that basically tells you how to automatically create these types of flash cards using their program. It looks a little complicated at first, but if you are able to do it, it can save you a lot of time. Step 5: Testing Is Super Easy. Since most of the main streaming services include subtitles, it is usually a simple matter of going into the settings while the video is playing and turning the English SUBs off. This will allow you to watch the anime episode in Japanese, just like natives do over in Japan! If you’re watching it on YouTube, it’s a little harder since the English subtitles are actually a part of the video itself. In that case, you could try to find it on one of the other streaming sites that will allow you to turn off subtitles. 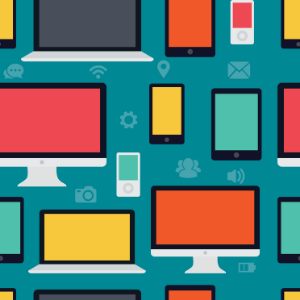 If you’re watching it on a mobile device, then you might have to use a physical object like a piece of paper or something. But if you’re watching it on your computer, then you can simply drag a window over the bottom part of the screen when it’s not in full screen mode. It’s a pretty simple process, with step #4 being the hardest one to implement. Once you’ve got it down though, you will be able to apply these steps to any episode you want to learn from. If you’ve got any questions or comments on what I’ve gone over, please don’t hesitate to ask by leaving a comment below. P.S. Is this something that you guys would prefer to watch in a YouTube video? I have been thinking that it might be easier to understand in that format, but I wasn’t sure if it was something you wanted or not. Let me know what you think.